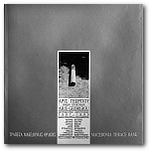 Black and White photographs 1972-1983, Agra Publications, Athens, 1983. 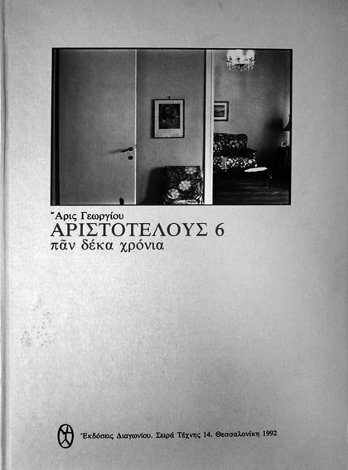 (Bilingual, greek-english), 72 pages, 24x17 cm., 59 b/w photographs. A book that is “readable” without needing to be read. 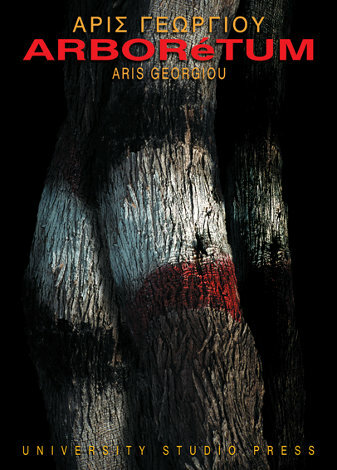 Photographes by Aris Georgiou, text by Elisabeth Foch. 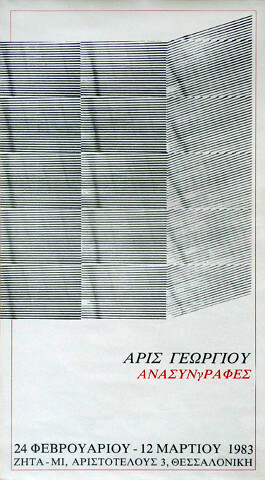 Schema and Chroma Publications, Thessaloniki, 1993. (Bilingual, greek-french). 98 pages. 24x24cm., 69 colour photographs. 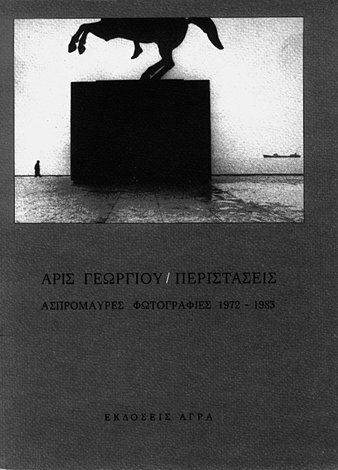 Diagonios Publications, Art Series 14. Thessaloniki, 1992. 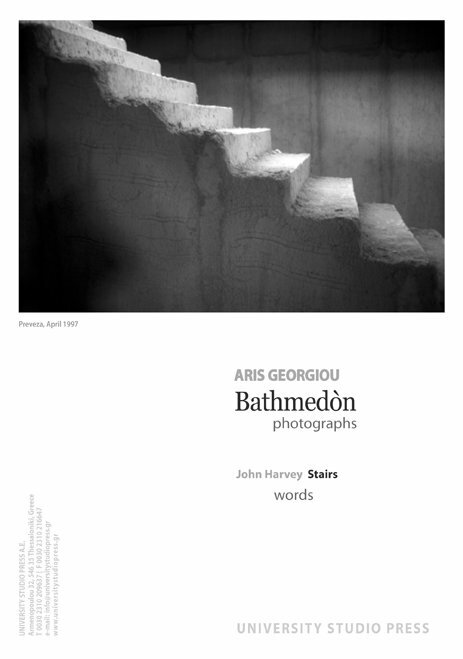 Text and 18 b/w photographs (1980-81) by Aris Georgiou. 52 pages, 24x17cm., hard cover. 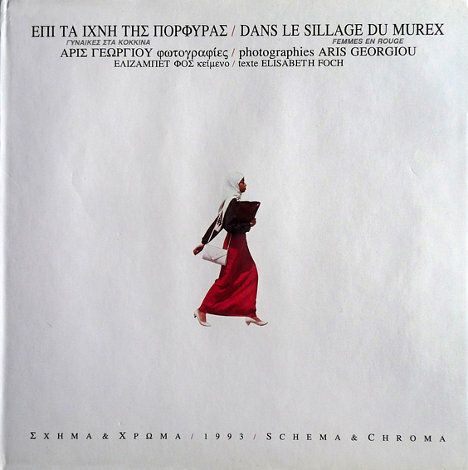 Colour photographs 1993-1994 and 2003, Agra Publications, Athens, 2003. 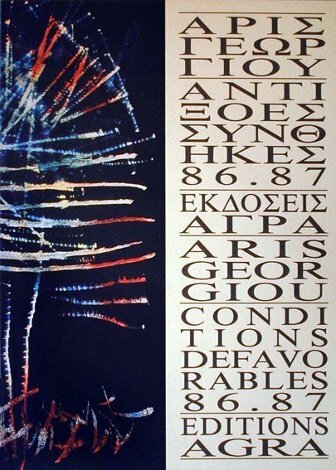 Texts: Aris Georgiou, Vana Charalambidou, Sakis Serefas, 104 pages, 24x17 cm. 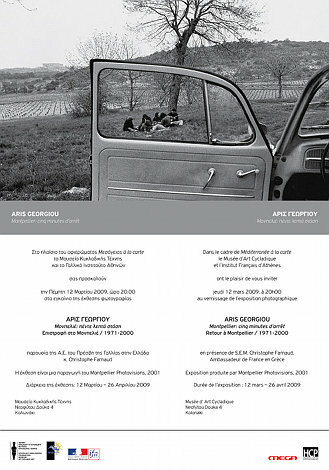 The juxtaposition of the two moments in time, 1979 and 1990, complete with the full double series of photographs, was published in May 1990 in the periodical Ena , with an accompanying text by the journalist Tolis Veizade. 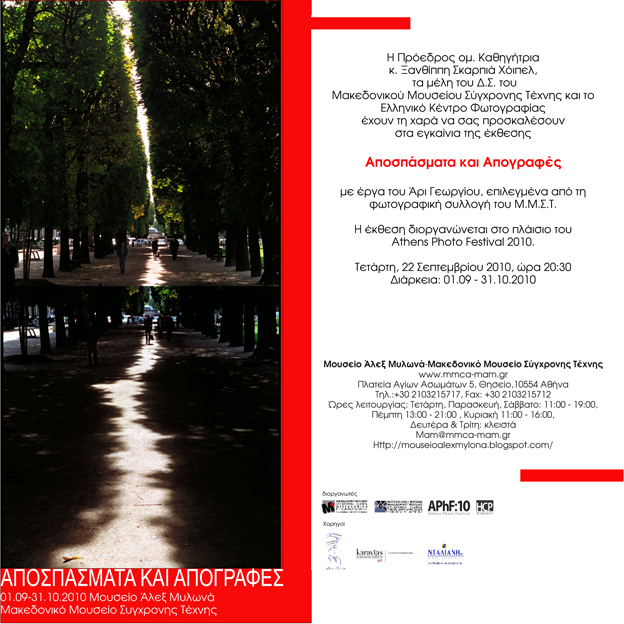 Neighbours of mine (this was the neighbourhood where I spent a large part of my teens and adulthood), craftsmen from Papamarkou Street and the little side-roads around Athos Square, were depicted in photographs that went on show in Thessaloniki and abroad. Several of them thereby acquired a picture of themselves, which they hung in their shops, and, needless to say, they remained good friends, whose morning greetings have always added much to the quality of our daily lives. Furthermore, for one reason or another we have had occasion to do business together from time to time. In short, we kept in touch, and as the years went by the various signs of attrition were allowed to pass unnoticed. Yet, remorseless as ever, the "photograph" persisted in asserting its role as custodian of the laws of nature. Itself subject to those same natural laws of time, it presented us with evidence that immediately suggested comparisons, try as we might to avoid them. It forced us to see the futility of earthly life and to search out the poetry in our daily round. Anyway, I went back in April 1990, eleven years later, and photographed the same people or the same premises. The transcendence of black-and-white was replaced with the realism of colour, making it possible to read the parallel diptychs without hindrance. The "reader's", or viewer's, task is to detect, in one place, the barely discernible differences, in another, the obvious replacements or removations, and elsewhere, what has been irretrievably lost. Black and white photographs 1987-1990. Photographs from eight archaelogical sites: Athens, Delphi, Delos, Dion, Epidaurus, Thasos, Knossos, Samothrace. 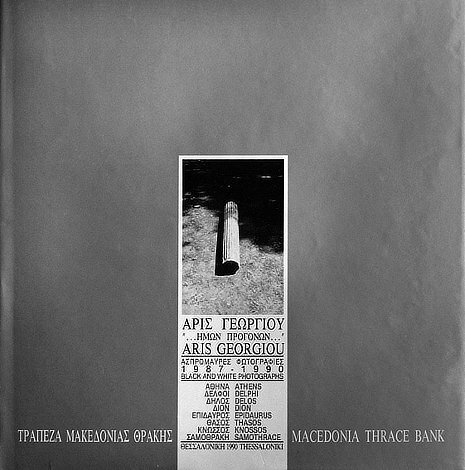 Macedonia - Thrace Bank, Thessaloniki, 1990. (Bilingual, greek-english). 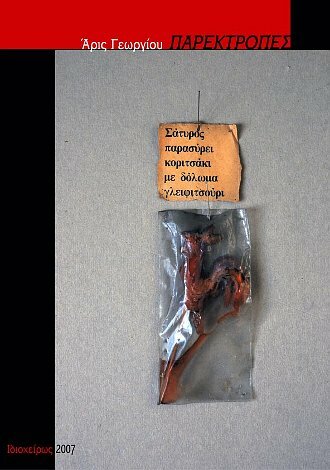 Texts by Antonis Anezinis, Dimitris Pantermalis, Demosthenes Agrafiotis, Aris Georgiou. 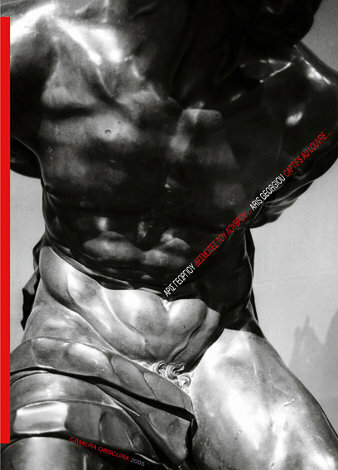 120 pages, 98 duo-tone photographs, 27x27cm., hard cover. b/w photographs. 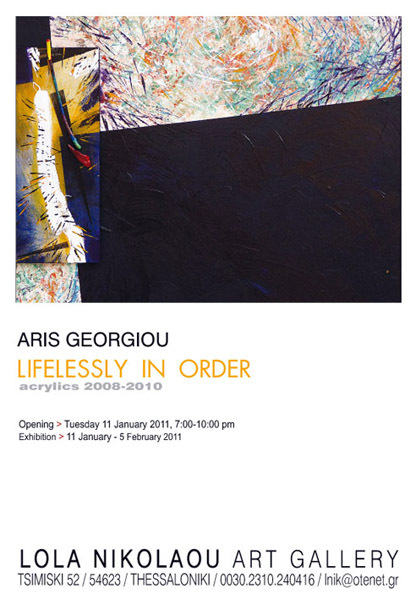 Text: Aris Georgiou. 40 pages. 29.7x21cm. 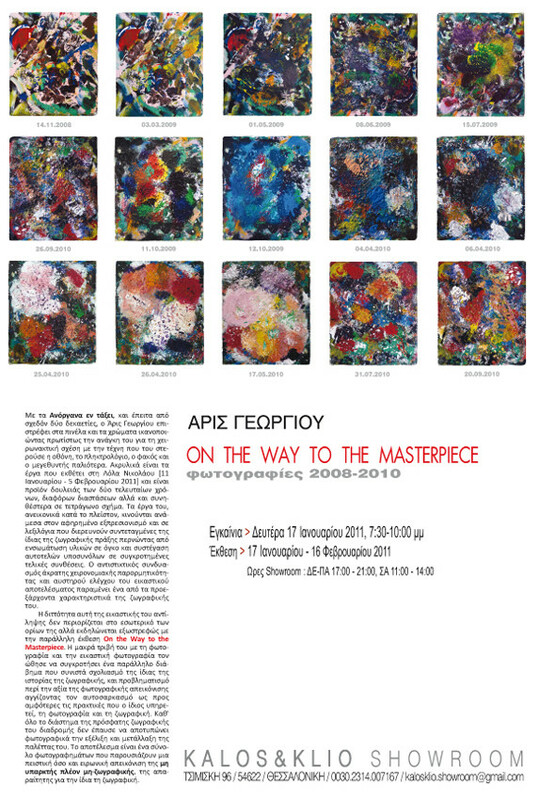 Collector's publication in 7 copies. Idiocheiros, Thessaloniki, 2007. Colour photographs. Essay by Jean-Louis Leutrat 28 pages, 29.7x21. Collector's publication in 10 copies. Camera Obscura, Thessaloniki, 2003. I took pictures of friends, family, schoolmates. As souvenirs. When I was twelve or fourteen. In a roll of film from June 1969, showing preparations for graduation at the gymnasium, I found the picture which I recognized — almost forty years later — as my first serious photograph. I had no education in photography then, and could not have been referring to Kertesz, for instance, whose work I did not yet know. Amongst the elements which make up this photograph, it is clear that the man who carries a ladder — as he crosses the junction of Ermou with Korolou Diehl — plays a crucial part. It must have been because of him that I aimed my Retinette at the scene which was unfolding five storeys below our balcony. If he had not happened to carry that ladder — with its own intense geometry, and its shadow also, embossed beside him on the tarmac — he would probably have passed by unobserved. I now wonder, after taking eighty thousand photos more or less — and over seven hundred photos with stairs or ladders in them — whether, through the intervening forty two years, that first photograph of 1969 has played a determining role in my photographic sub-conscious. It’s true that I was poised between a sense of the futility of such pictures, and a powerful compulsion to capture those scenes. This uncertainty came to an end when I read ‘Stairs’ by John Harvey, and realized that I had at least one fit observer of my moments of arbitrariness. Kostas could remember it almost from when he had been a child living in the neighbourhood. Opposite the Kronos, then a cinema, now a taverna. Before the war and later it sold animal feeds to farmers in the area around Pylaia, then known as the Kapoutzides district, and even in Halkidiki, along with harness and tackle for horses, mules and donkeys. Hay, bran, seeds – all the familiar smells. The shop was founded in 1923 and would now be almost approaching its centenary. Kostas was anxious that we not miss the chance to photograph it before it closed. It was a wonder the owners had managed to keep it going so long, until it was time for them to retire, because it must have been years since they had made a living from the shop. Konstantinos Kanellidis. I assume he must have been from Halkidiki, as the name of the shop indicates, written on the shingle in beautifully painted characters. We lost no time in visiting the shop, on Saturday 13th February, and, with Mr. Kanellidis hurrying us to finish so he could close up and go home, we recorded a little of the place’s unique spirit in those last few days before it closed for good. As is so often the case, the images are a mere echo of the reality they depict, but of some value nevertheless. Or so I like to think. Foreword to the book Unfavourable Conditions 86-87, Agra, Athens 1987. From the periodical Sima No 4, September-October 1991. 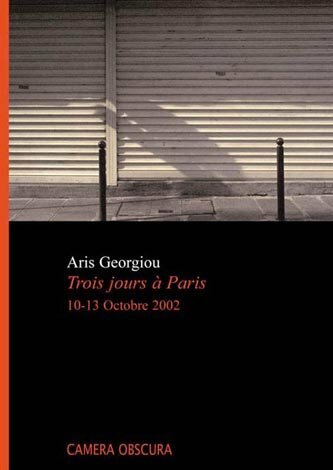 ARIS GEORGIOU, Captifs au louvre / Eight photographs 14.09.1996. Eight b/w photographs. (Bilingual, greek-french). Text: Eric Auzoux 16 pages, translation by Mina Pateraki, 29.7x21cm. Collector's publication in 10 copies. Camera Obscura, Thessaloniki, 2005. This is the last small pocket agenda that I used to use for about ten years before we got well into the digital era. For quite some time I thought it was my new, shiny, clean little book where I had recently “transfused” all the necessary, mostly telephone numbers, as compared to my older ones. All of a sudden, as I started building up the File Maker Archive in the consecutive lap-tops, I retroactively fell in love with -and I mourned at the same time- my Blue Telephone Book and on its name all the previous ones. I started preserving not only this item of “material” archive but any kind of personal belonging that linked me tangibly to my past. Lamentable sentimentality as it may sound in our high-tech era, I decided nonetheless not to care and that if inevitably the filed persons amd I had a common past and a common future, it was thanks to both material and immaterial notations. Here they are subsequently, the tirty double pages of my Blue Telephone Book along with its front and back covers. Each time one or more of the noted individuals figure on the left as if they were to illustrate the left page of a book in which the right one figures the notebook. Exceptions to the rule, some non-portrait-images refering to situations related to names, to circumstances, to memories. Art photography. (Bilingual, greek-english). Text: Matoula Skaltsa. 48 pages, 24x17cm. 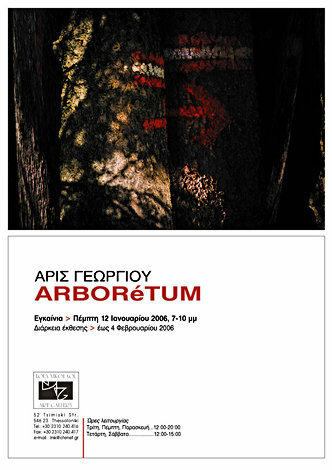 University Studio Press, Thessaloniki, 2006. 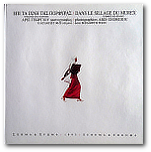 A record of works that belong to none of the group of artwork since 1975. 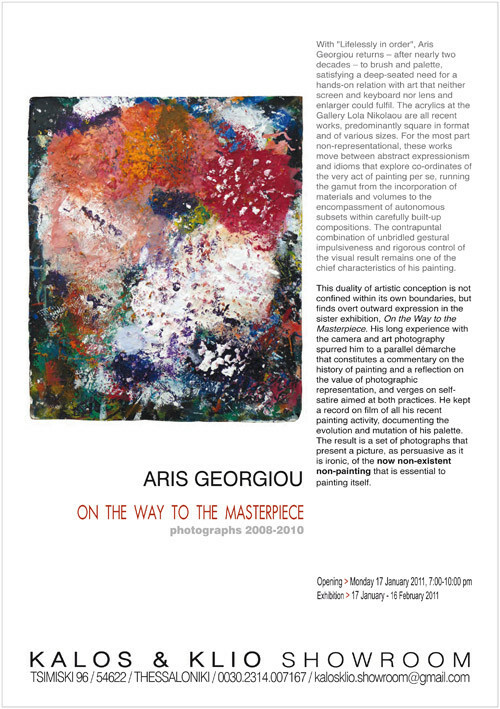 Text: Aris Georgiou 90 pages. 29.7x21cm. Collector's publication in 5 copies. Idiocheiros, Thessaloniki, 2007. Out of a secret wish, and clearly to avoid a path that had been laid out for him by his parents, Aris decided in 1917 to leave his birthplace, Thessaloniki, and study in France: in the south of France, so that he could retain his Mediterranean ties with his homeland. On his journey, he travelled by a form of transport appropriate to his financial status: the train. The train of a not-too-distant age, when white steam and black smoke imprinted on his experiences shades of the images that paraded before him on his journey, during which the Spartan comfort of his economy carriage improved as he crossed different countries: Yugoslavia, Italy. It was not Aris’s intention to become involved with images. His contact with Montpellier kindled in him an unquenchable desire to discover the space of the city, to write his story in his new life, to make his presence felt. He could have started a diary and set out his impressions and discoveries in writing . . . but his direction as a student of architecture turned him to one of the most important means of expression: the image. It was through taking his first photographs that he recorded his journey and established his view, a view of his new experiences. Today, as we look at this group of photographs, we realise his interest in his relation with space, volumes, the context of life, urban and human elements – an interest that is accompanied by his dedication to the details that reveal the city. His personal history with the city of Montpellier has today become a reference point. 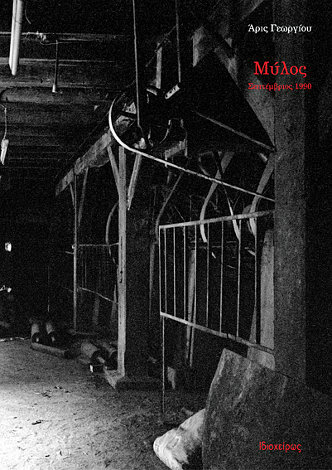 Through his visual expression, he creates and provides a diary and at the same time a piece of the history of Montpellier, grounded in the silver minerals of the photograph.